While Virginia has rightfully emerged as one of the country’s premier wine producers, the Old Dominion State is no slouch when it comes to craft beer. Virginia’s Blue Ridge region is peppered with craft breweries, linked by bucolic beer trails just begging to be explored. In Albemarle and Nelson counties, the Brew Ridge Trail winds past six different breweries, spread from Crozet south to Arrington. But the Brew Ridge Trail is just the beginning. 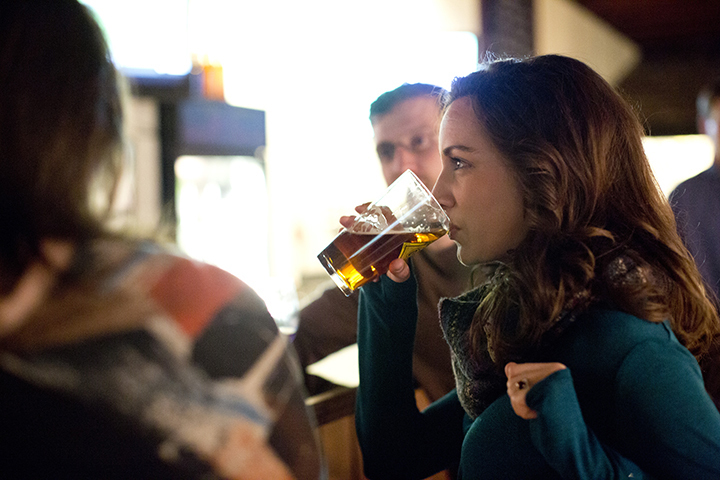 Why stop after just a half-dozen pint savoring pit stops? Just a short hop from the trail, another beer trail awaits. 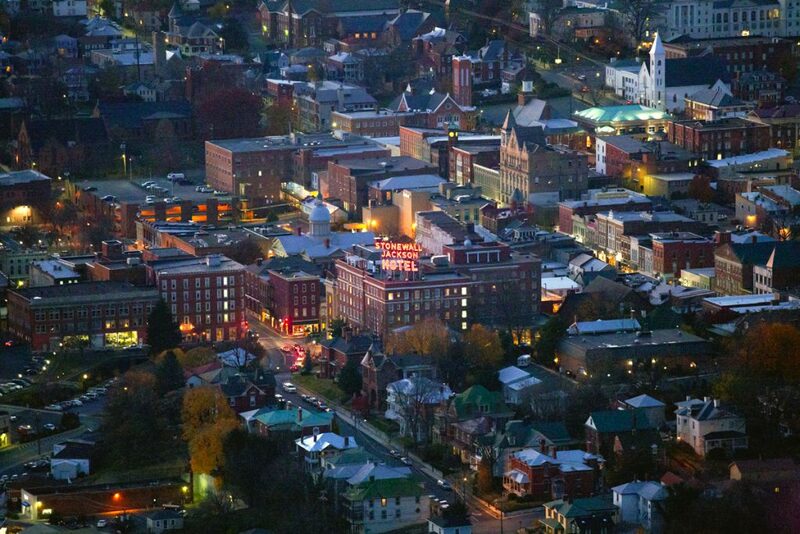 The Shenandoah Beerwerks Trail is centered in the historic Shenandoah Valley town of Staunton, which boasts a highly concentrated collection of craft breweries pouring an eclectic array of ales. 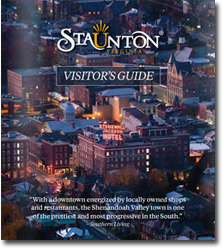 So the next time you’re savoring inspired local brews with a Blue Ridge backdrop, why not stop and see what’s on tap at Staunton’s three breweries? 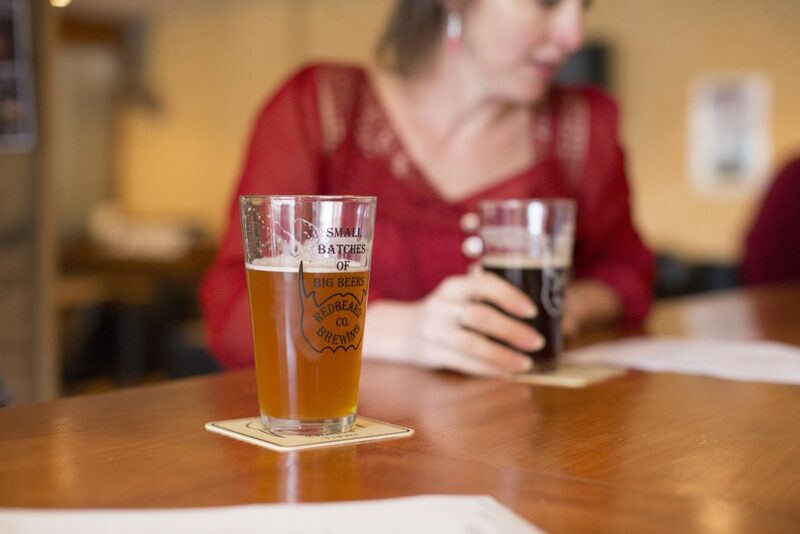 Start your tasting tour of Staunton at the Redbeard Brewing Company. Grab a seat in the bright and roomy taproom and sample from the brewery’s selection of meticulously crafted microbrews. Redbeard usually has just over half-dozen beers on tap, running the gamut of styles, from choices like the subtly fruity Blueberry Wheat Ale (5.5%), to the refreshing Citra Grisette Saison (3.8%), or the 221B Baker Brown (6.3%), a beer that just medaled at the Virginia Craft Brewers Cup. The tap list changes about every two months, and Redbeard regularly showcases newly concocted seasonal beers with release parties, like the upcoming celebration of autumn-inspired offerings like the Harvest Ale and the Sweet Potato Pie Porter, slated for late September. 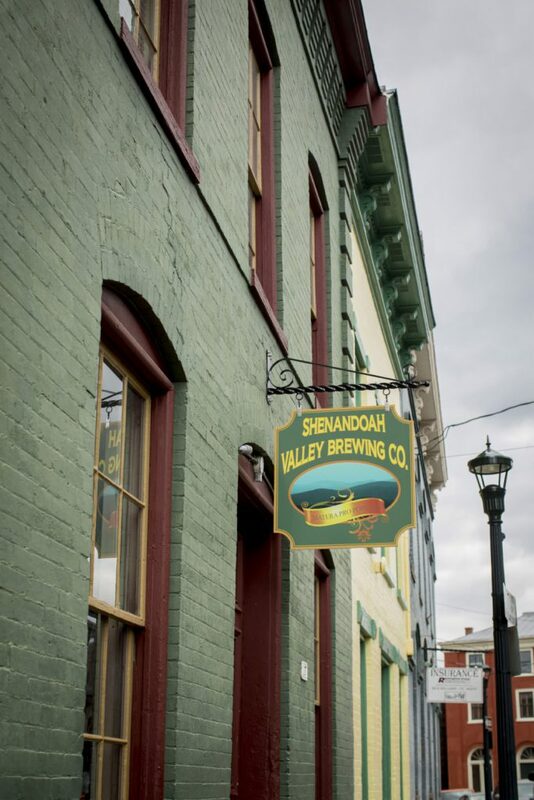 Next, make your way over to Staunton’s Wharf Area Historic District and stop by the cozy taproom at the Shenandoah Valley Brewing Company. The four-year-old brewery has a well-rounded tap list, including rich, full-bodied brews like the Glenhaven Scottish Ale (5.2%) or the Buck and Ball Brown Ale (5.6%), along with European-inspired options like the Three Rivers Belgian (5.3%) and lighter, golden ales like the Long Meadow Kolsch (5.2%) and the ShenVal Lager (4.9%). Beyond the beers, with a laid-back, affable vibe, the homey taproom is also a place worth lingering—there are board games out for patrons to play, and pretzels on the bar to snack on. 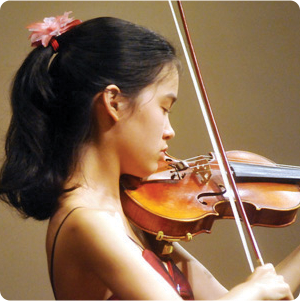 The taproom also regularly turns into an intimate musical venue, showcasing regional artists. Home-brewers can also load up on essentials in the supply store attached to the tasting room—and the Shenandoah Valley Brewing Company even has a handful of beer recipes to peruse, from IPAs to porters. 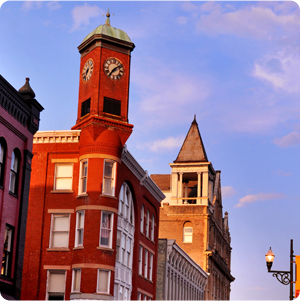 Finish up just a few minutes from the heart of downtown Staunton at Queen City Brewing, touted as the town’s first post-Prohibition brewery. Sit at the bar or grab one of the umbrella-shaded outdoor tables and try not to be awestruck by the selection. With more than two dozen beers on tap, Queen City Brewing pours everything from the crisply drinkable Gypsy Gold (4.7% alcohol) lager, to fruity, seasonal brews like the Grapefruit Shandy (4.5%), to heavier selections like the Black Rabbit Stout (5.3%), a nod to Ireland’s most iconic dark stout. But it’s not just beer on tap. The place also has options like the Ale-tail Mimosa (7%), Ginger Beer (6.2%), Blackberry Sangria (7%), and even serves a number of non-alcoholic, homemade soft drinks, including birch beer and cherry cream soda. At Queen City Brewing, aspiring brewers also can try their hand at crafting a batch of flavorful beer to take home—with more than 80 different taste-tested recipes to pore over for inspiration. The brewery also regularly showcases live music with Open Mike Nights on Wednesday and Friday night Picks n’ Pints sessions. Still need an encore? 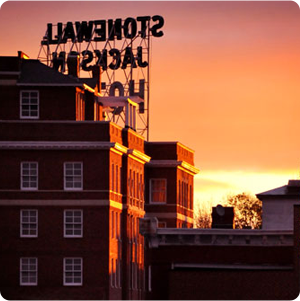 Continue along the Shenandoah Beerwerks Trail. Just 15 miles east of Staunton in the town of Waynesboro, try a tasting at the Seven Arrows Brewing Company. Sample from golden brews like the Aurora Pils (6%), heavier beers like the seasonal Hermenator Dopplebock (7.2%), or branch out and try Barefoot Bucha, an organic, Fair Trade, craft-brewed kombucha. Swing by on a Saturday morning for the brewery’s weekly Om Brew, a yoga session capped off with a craft beer. 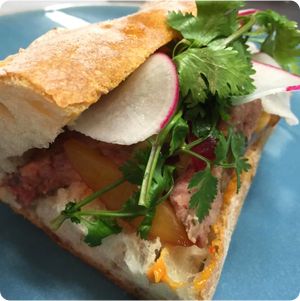 Originally written by RootsRated for Staunton VA.